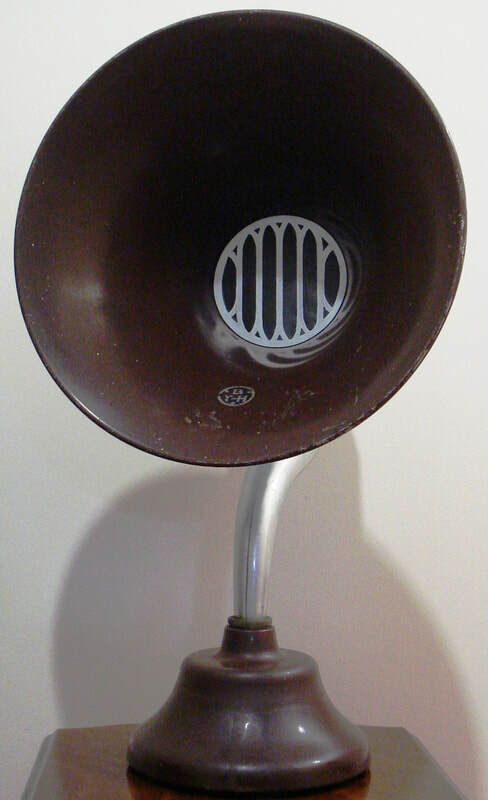 1927, model C2, loudspeaker, manufactured by British Thomson Houston Co. Ltd, England. It has a swan like aluminium horn with a 370mm brown painted flare and brown Bakelite base. It is 610mm in height.